The fall of the wall meant reunification, but above all, a sense of no holds barred. The eastern part of the city became the anarchic, creative playground for a euphoric youth, now freed from bureaucracy. The early 90s were formative years for a young Paul Kalkbrenner as well. Eventually, in one of many long and sleepless nights on the dancefloors of E-Werk, Planet and Whale, the dream was born to make music himself, and anything less important would be put aside. A job as TV editor got him through the mid-90s and financed his first music gear. By this point Paul had already decided that he did not want to be a typical DJ playing other people’s records, but rather to play only his own music, live in a club setting. His first tracks were released in 1999 on Berlin-based BPitch Control (the newly founded label from Ellen Allien) as the Friedrichshain EP, titled after his home district in the city’s east. A series of further singles and two full-lengths (Superimpose and Time) followed, plus continuous live performances that threatened to shatter the grid of his calendar. Together with Paul Kalkbrenner, BPitch Control gained a strong momentum. Interviews in respected German magazines like Spex and De:Bug paved the way for regular international bookings. The Lufthansa fetishist had now become a frequent flyer. Paul’s third album Self (2004) would mark the beginning of a new era. His melodic sound, with its affinity for grand emotional gestures, obeyed the logic of the dancefloor, but Self introduced a narrative aesthetic, serving as a soundtrack to a film that didn’t exist (at least, not yet…). It was Paul's most musical and mature album to date, although still taking cues from the dancefloor and rave culture, offering a first glimpse of what was yet to come. "Gebrünn Gebrünn”, released one year later, became a crossover hit found in every DJ’s record bag and finally cemented Paul’s status as a Techno MVP. 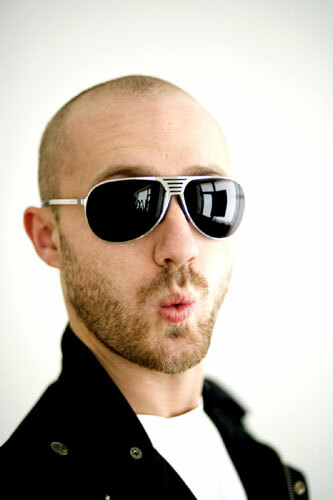 In early 2006, German director Hannes Stöhr, an avid fan of Self, decided to get in contact with Kalkbrenner. His idea was to produce a film about a musician in Techno City during the new millennium, and Paul would compose the soundtrack. The two met, traded ideas and experiences, and soon after began working on the screenplay’s first draft. In the course of their exchange, Hannes had the realization that Paul should not just contribute the music, but that he would be the perfect choice as the film’s star. Without hesitation, Paul accepted the offer. They decided to title the film Berlin Calling. For the soundtrack’s production, Paul and his friend (and BPitch colleague) Sascha Funke spent half a year in Cézanne’s hometown of Aix-En-Provence in southern France. Unencumbered by the cold, gray Berlin winter, Paul devoted himself entirely to the musical aspect of the project. One song already had a title: “Sky and Sand” with vocals by Paul’s brother Fritz. Upon Paul’s return to Berlin in 2007, the filming began, and the finished work was brought to German theaters in October 2008. Berlin Calling and Paul’s debut acting performance received positive reviews, and the film, thanks to its authentic depiction of the Berlin club scene and drug culture, became, slowly but surely, a cult classic. The soundtrack and especially the single "Sky and Sand" broke all sales records. That track in particular went gold in Belgium where it remained in the charts’ Top Ten for weeks. The 2009 DVD release of the film brought Paul to a new, much larger audience around the world. By the end of the year, Paul separated with BPitch Control after a decade-long relationship to take the next steps of his career alone. In early 2010 Paul completed a twelve-city live concert tour throughout Europe (with over 50,000 tickets sold within just a few weeks), followed by many headlining appearances at summer festivals. More tours and new challenges await him. All times are GMT -4. The time now is 05:02:05 PM.